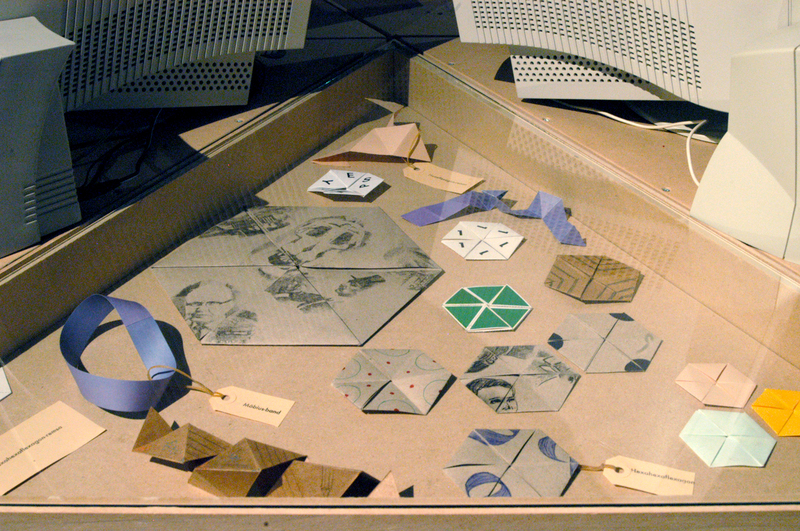 Hexaflexagons, part of installation, 2008. The ‘hexaflexagon’ is a strip of paper, that has been folded into a hexagon. This two dimensional shape can then be turned inside out, flexed, so that a number of faces that were previously hidden will appear. In theory, it can have an infinite number of faces, although in reality the thickness of the paper sets the limit. It was discovered 1939 by a British fellowship student at Princeton, who started to fold the strips he had just trimmed off his American “letter-size” sheets to fit his A4 binder. It had a revival in the late 50ies, when it first became popular among magic buffs in New York, and after an article in Scientific American, it became something of a craze. 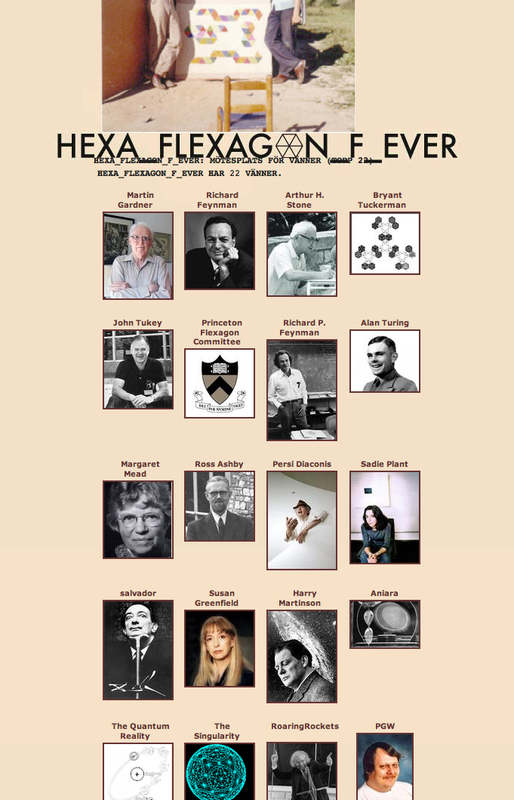 To map the connections between the ideas and the people associated with the hexaflexagon, I used the digital social network Myspace as my tool. 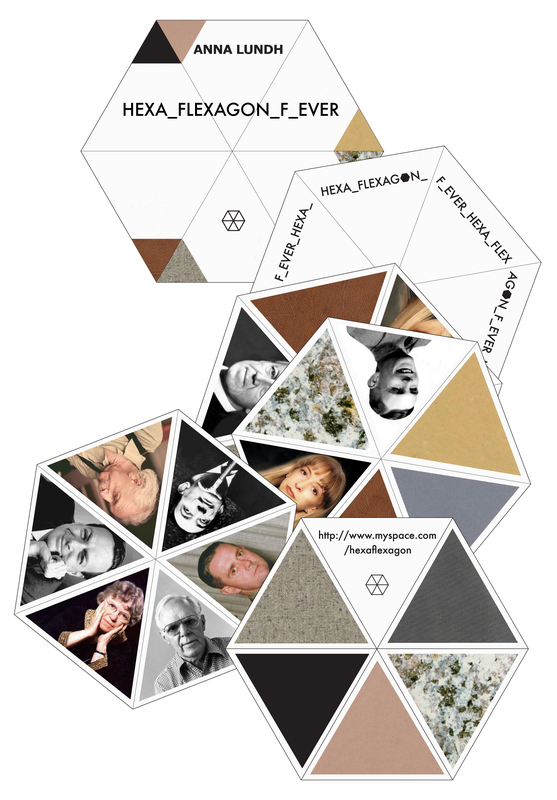 A somewhat old fashioned and analog phenomenon was applied to something contemporary  and digital, to form this historical and associative network between the hexaflexagon and people like Martin Gardner, Salvador Dali, Alan Turing, Sadie Plant, Ray Kurzweil, Margaret Mead, Ross Ashby (to name a few). This mapping of people and ideas kept growing, and the history was told, discovered and commented on by the living and dead profiles, for an indefinite future. Note: In 2010 the Myspace platform was reconfigured, and the HEXA_FLEXAGON_F_EVER pages and profiles have since apparently been deleted. 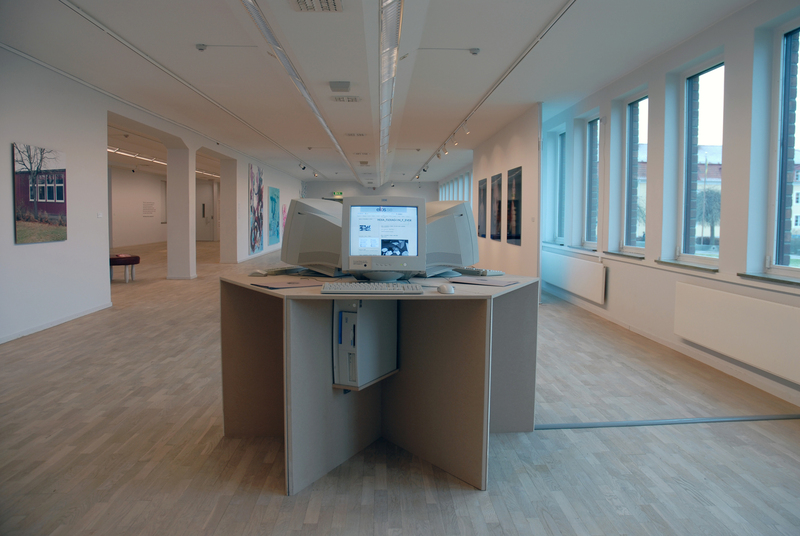 Exhibited at Norrköpings Konstmuseum, Sweden, 2007; at Konstfack (MFA solo exhibition), 2008; Bonniers Konsthall, Stockholm, Sweden, 2008 and as a workshop and lecture as part of the Rhizome exhibition ”The world is Flat”, 2009. 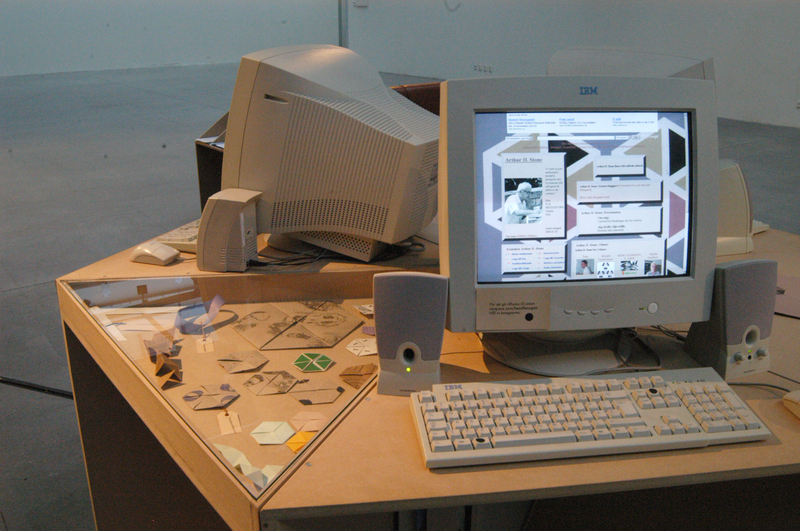 Also adapted for the web based exhibition Inverse Internet Operating Manual, 2012, as a mock-up reconstruction. 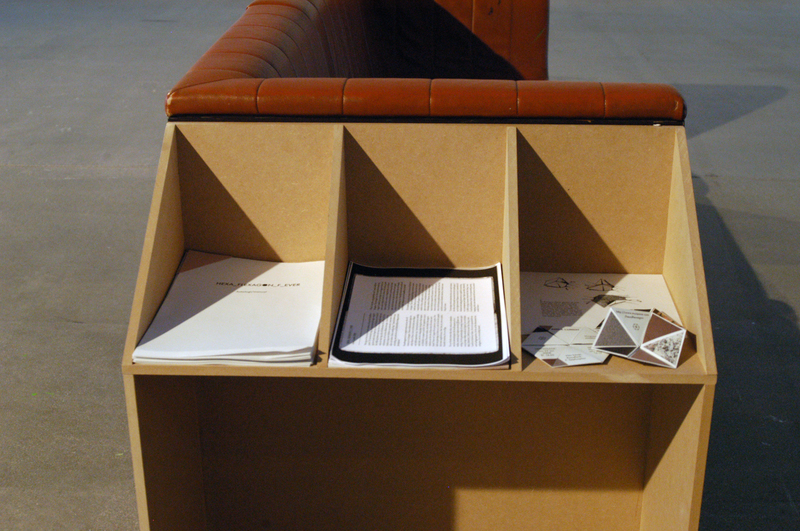 Installation, Reading area, Konstfack, 2008.